Staff – Indigenous Management Group Inc.
Indigenous Management Group Inc. is committed to the highest standard of quality in all the work that we do. Our consulting team is made up of highly qualified individuals with professional academic qualifications and extensive experience working with Indigenous governments, federal, provincial, and municipal governments, private sector business and government policy makers. Stanley Bear, a member of Peguis First Nations, has an MBA from Queen’s University, a Diploma in Agriculture from the University of Manitoba, and completed the Executive Development Program at Queen’s University. Mr. Bear also holds a Project Management Professional (PMP) designation from the Project Management Institute. Mr. Bear has more than 30 years experience in First Nations business and organizational development. Since 1989 Mr. Bear has owned and managed a private health care company with 100 employees, and two management consulting companies with 15 employees. Prior to working in the private sector, Mr. Bear had over fifteen years of experience with the federal government, managing programs at the senior level with the Department of Industry Canada. Mr. Bear has more than 15 years experience providing management consulting services in the area of business management, business analysis, cost benefits analysis, organizational analysis, strategic planning, organizational policy and procedures development, project management, program and project evaluations, financial management and political advisory services to First Nation communities. Mr. Bear has conducted needs assessments of First Nations, which diagnoses present problems and environmental challenges that can be met through training, or future challenges that can be met through long-term development. Based on the needs assessment, individual training plans may be developed for each First Nation staff. Prior to joining the Assembly of Manitoba Chiefs, Mr. Cochrane was the Regional Director General and the Associate Regional Director General for Indian and Northern Affairs Canada, Manitoba Region. Mr. Cochrane has extensive experience and knowledge of First Nations programs and services (band management, social services, human resources, education, community services, economic development, policing, health services, facilities operation and maintenance, etc. ), and federal/provincial government legislation, project management, program and project evaluations, policies and directives. As well as being a member of the Fisher River Cree Nation, Mr. Cochrane has served his community as both Chief and Councilor, and he is ever mindful of the challenges faced by First Nations communities. Ryan Bear, MBA, CAFM, C.MGR. Ryan Bear, a member of the Peguis First Nation, has a Master of Business Administration (MBA) Degree, a Post-Baccalaureate Diploma in Management (PBDM) from Athabasca University as well as a Business Administration Diploma (Marketing Major) from Red River College. Mr. Bear also holds two designations — a Certified Aboriginal Financial Manager (CAFM) from AFOA Canada, and a Chartered Manager (C.Mgr.) from the Canadian Institute of Management. Mr. Bear has more than 15 years experience in the finance and accounting business.  As the Vice-President of Operations for Indigenous Management Group Inc., Mr. Bear is involved in business strategy, marketing, financial and management controls and operational management, where beginning to end solutions are provided. Mr. Bear is also responsible for providing services in the areas of financial and investment analysis, project management and business consulting. Mr. Bear is responsible for providing services in the areas of financial planning, forecasting, reporting, policy development and analysis, financial and debt management, and business consulting in areas of operations planning, control and review as well as in capacity building to First Nations communities. Mr. Bear also provides objective advice, expertise and specialist skills with the aim of improving the business performance of the organization. Mr. Bear conducts analysis and quality review checks to ensure financial policies and administrative procedures are being followed, and identifies skills deficiencies and training needs for staff. Mr. Bear’s previous experience include working for Indigenous and Northern Affairs Canada as an Economic Development Officer, and a Franchise owner for five tax businesses in Winnipeg, Manitoba. Poornima Saraswati, with more than 25 years experience in all aspects of human resources, including several years in management, has a Bachelor of Arts (Psychology) Degree from the University of Winnipeg and a Certificate in Human Resource Management from the University of Manitoba. As the Human Resources Director for Indigenous Health Group Inc. and Indigenous Management Group Inc., Ms. Saraswati provides guidance and manages the overall direction of Human Resources services, policies, and programs for the companies. Her responsibilities include providing leadership and expert advice in all aspects of human resource management, establishing and leading the recruitment practices and procedures to establish and maintain a superior workforce; and management the development and maintenance of various websites. Ms. Saraswati’s experience in both the private and public sectors include: coordinating of services, policies and programs through Human Resources staff; overseeing processes in recruitment and selection, performance management, training and development and labor relations; human resource and strategic planning; organizational reviews; succession planning; external audits; and workforce adjustments. Blessing Familusi is a Certified Professional Accountant (CPA,CGA), and has a Masters degree in Business Administration and a Bachelor of Science degree (Hons) in Accounting. He is also an Associate of the Institute of Chartered Accountants of Nigeria and has taken courses in economic analysis, financial management, corporate finance, and project management. As the Financial Advisor/Accountant with Indigenous Management Group Inc., Mr. Familusi is responsible for providing co-management and advisory services in the areas of financial planning, forecasting, reporting, policy development and analysis, financial and debt management, capacity-building and business consulting. Prior to joing IMG, Mr. Familusi had more than 20 years’ financial and accounting experience, fulfilling roles such as Corporate Accountant, International Operations Manager, Internal Auditor and Audit Manager. He was the Corporate Accountant with the Winnipeg Conservatory of Music, Business Interface Consulting Limited, and a Senior Banking Advisor with the Royal Bank of Canada. Mr. Familusi is a professional accountant with notable previous experience in Accounting, Taxation, Auditing, Financial Services, Information Technology and Project Management both in Canada and internationally. Samuel Adeniji is a Certified Professional Accountant (CPA, CGA) with a Masters of Science Degree in Financial Management and a Bachelor of Science Degree in Accounting. Mr. Adeniji is a member of the Association of Chartered Certified Accountants (UK). Mr. Adeniji has more than 10 years’ experience in financial management and accounting which includes preparation of management account statements, financial analysis, budget preparation, account reconciliation, analyzing and evaluating operational risk and internal controls, finance and process improvement and automation. In his previous roles as Financial Analyst and Accountant, Mr. Adeniji provided a leadership role in their financial management, accounting and planning processes. In his current role as Financial Advisor/Accountant with Indigenous Management Group Inc., Mr. Adeniji provides co-management and advisory services to a number of First Nations in the areas of financial planning, forecasting, reporting, policy development and analysis, financial and debt management, capacity building and business consulting. Tunde Ogunje has an Advanced Diploma in Accountancy and is currently enrolled in the Certified Professional Accountant (CPA) Manitoba program and with the Chartered Financial Analyst Institute. Mr. Ogunje is an Associate Member of both the Institute of Chartered Accounts of Nigeria and the Chartered Institute of Stockbrokers (Nigeria). Mr. Ogunje has approximately 15 years’ experience in the financial accounting, corporate finance and business management field, serving in such roles as Consultant (Finance and Accounts) and Internal Auditor. Mr. Ogunje’s experience includes: analyzing and setting up internal controls, reconciling accounts, preparing and interpreting financial statements and generating financial reports, coordinating budget processes for clients, process improvement and strategy development. Mr. Ogunje also has experience supervising finance departments and providing economic direction on economic programs and policies. In his current role as Staff Accountant with Indigenous Management Group Inc., Mr. Ogunje works with Senior Management and other Accountants in providing co-management and advisory services to a number of First Nations in the areas of financial planning, forecasting, reporting, policy development and analysis, financial and debt management, capacity building and business consulting. Samson Omotosho has a Bachelor of Accounting, is an Associate Chartered Accountant (ACA) Nigeria, is in Level II of the Chartered Finance Analyst program and is in the process of enrolling in the Certified Professional Accountant program, Manitoba Chapter. Mr. Omotosho has approximately 12 years’ experience in financial accounting, holding positions such as Fund Transfer Officer, Operations Officer and Risk Analyst. Mr. Omotosho’s experience includes: financial planning, preparation of management account statements, auditing, risk analysis, budget preparation, accounts reconciliation, financial reporting and supervision of other staff. In his current role as Staff Accountant with Indigenous Management Group Inc., Mr. Omotosho works with Senior Management and other Accountants in providing co-management and advisory services to a number of First Nations in the areas of financial planning, forecasting, reporting, policy development and analysis, financial and debt management, capacity building and business consulting. Conrad Bear, a member of the Peguis First Nation, has a Masters Certificate in Project Management from the University of Winnipeg, a Diploma in Business Administration with a major in Marketing and a Certificate in Microcomputer Applications (Hons). Mr. Bear is an Associate Consultant/Project Manager for Indigenous Management Group Inc., involved in business strategy, marketing, financial and management controls. Mr. Bear provides objective advice, expertise and specialist skills with the aim of improving the business performance of the organization. This includes preparing business proposals/presentations, ongoing consultation with clients, identifying issues, formulating and implementing recommendations, and ensuring the client has necessary resources to meet the recommendations. Mr. Bear conducts analysis and quality reviews ensuring financial policies and administrative procedures are being followed, and skills deficiencies and training needs for staff are identified. Mr. Bear’s previous experience included working for Indian and Northern Affairs of Canada in economic development. He has more than ten years experience in accounting and payroll management. Greg Miles has a Masters of Arts (Economics) from McGill University with specific interest in the areas of environmental economics, cost-benefit analysis and econometrics. He has taught various courses in Economics, Math and Statistics at both the University of Winnipeg and McGill University and has written literature in the areas of environmental economics and cost-benefit analysis. Mr. Miles also holds a Project Management Professional (PMP) designation from the Project Management Institute. As an Economst, Mr. Miles provides expertise in economic modeling and statistics to bring a modern-day cost-benefit analysis approach to project selection and evaluation. Mr. Miles conducts financial analysis, historical and projected budget analysis, and cost/benefit analysis related to funding agreements and programs, and how these agreements and programs will affect community economic development. In the area of environmental and natural resource economics, Mr. Miles analyzes and interprets qualitative and quantative information related to potential environmental impacts caused by industrial projects on First Nations communities. Using advanced econometric tools which rely on survey and environmental data, Mr. Miles provides a full-analysis of how industrial projects will impact the communities. Crystal Valiquette, a member of Berens River First Nation, is responsible for performing front-line receptionist duties, meeting and greeting clients and visitors to Indigenous Management Group office. Ms. Valiquette assists Accountants and Senior Management with general clerical office duties such as directing incoming and outgoing mail, responding to client requests, photocopying, delivering and picking up documents, tracking supplies and ordering and as needed may be required to compose routine correspondence. Crystal has previous related experience working as a Unit Clerk.